We have made many trips to the historic Independence Square. 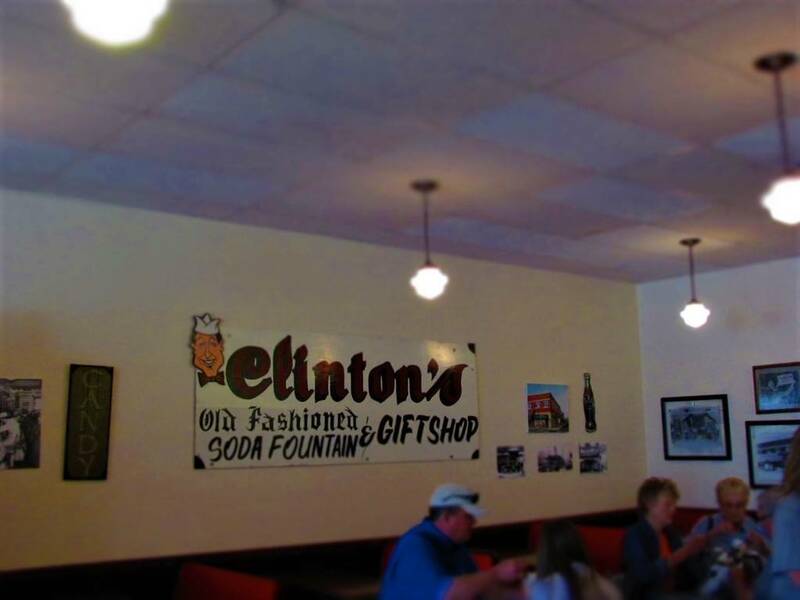 On a lot of those visits we stopped in to Clinton’s Soda Fountain for a sweet break. 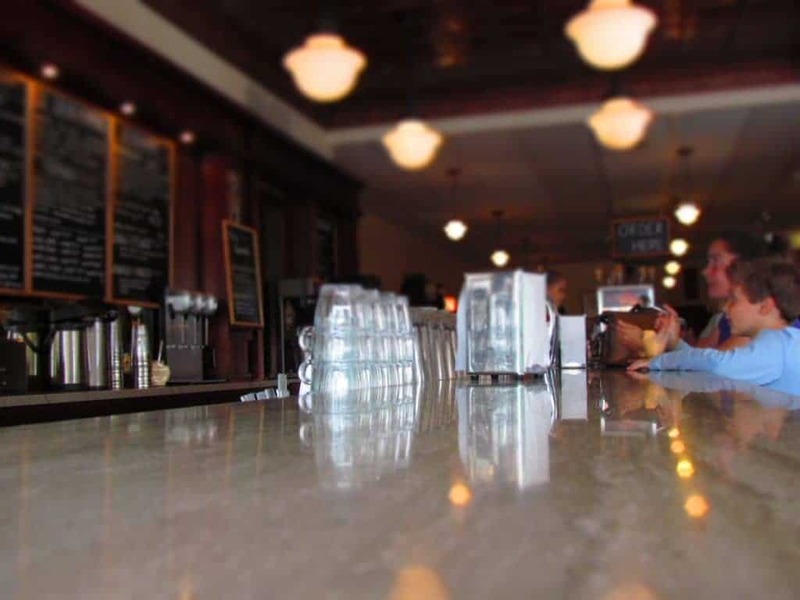 Clinton’s sits squarely on the corner of Main Street and Maple, and offers a great vantage point for people watching. 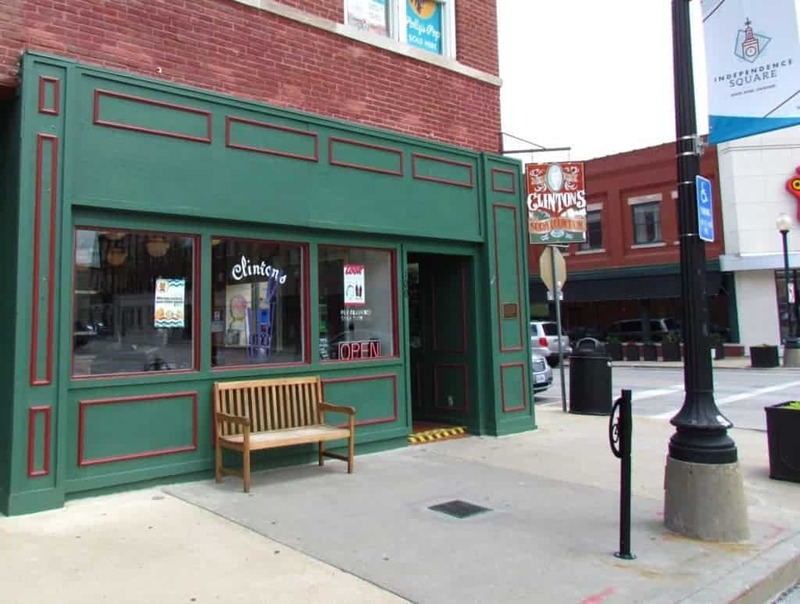 Clinton’s building has the honor of being Harry Truman’s first job, away from the homestead. Actually, back then it was Crown Drug Store, which was a pharmacy and soda fountain. The wood and brick building was built in the 1800’s, and has also been home to a shoe store and jewelry shop. 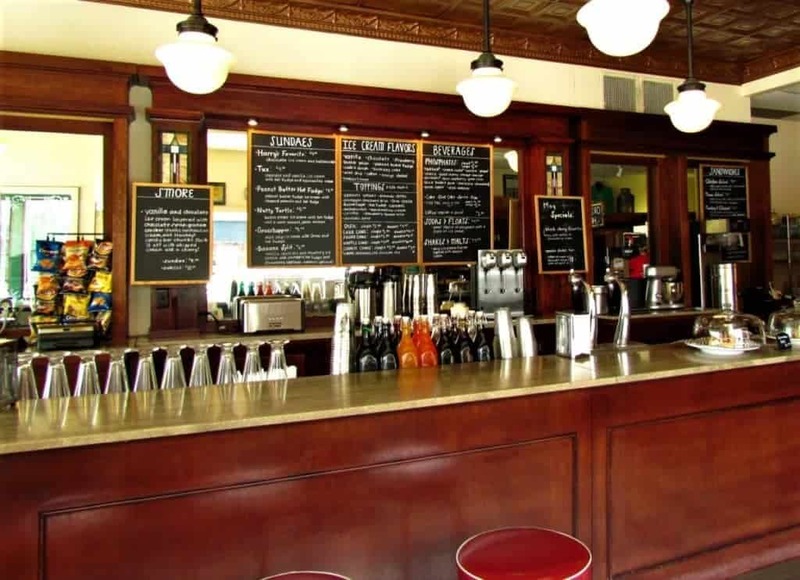 Customers from all around the nation have stopped in to enjoy a refreshing treat, while viewing the historic photographs that decorate the walls. The menu at Clinton’s includes a wide variety of items. For those looking for a bite to eat, there are a handful of sandwiches available. These can be washed down with your favorite soda or better yet, a phosphate. This bubbly concoction is made with soda water and flavoring, and originated in France toward the end of the 18th century. Clinton’s offers almost a dozen flavors to choose from including my favorite, Black Cherry. Let’s be honest with each other. Don’t we really come here for the ice cream treats. Guests can go simple with a dish or cone of their favorite flavor. They offer cake, sugar or waffle cones with single or double scoops. If you prefer you can have a Phosphate Float, which has the unique beverage with a scoop of ice cream. It’s the best of both worlds. Of course, you could also choose Harry Truman’s favorite sweet treat. According to Clinton’s, he was partial to chocolate ice cream with butterscotch topping. Well now I’ve done It. I brought up the specialty ice cream treats. I guess the only thing to do is carry on down that sugary road. Customers have the choice of a good old Banana Split, which comes with all of the trimmings. 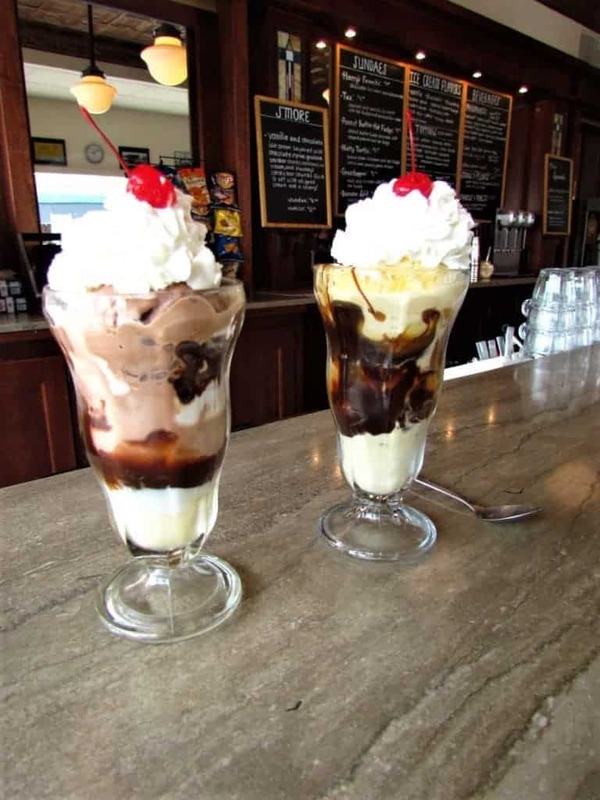 We have the tendency to test the specialty sundaes, which include a Grasshopper, Smores, Peanut Butter Hot Fudge or even a Nutty Turtle, which Crystal tried out on our recent visit. I was feeling a little fancier, and chose the Tux, which comes with a scoop each of vanilla and chocolate ice cream. Toss in some marshmallow cream and hot fudge, and you have a delightfully special treat. At the end of our visit, we departed with good memories, full bellies, and a desire for some water. Do you ever have an overwhelming urge for a drink of water after your sugary treats? It’s funny, but my wife made a comment about the water today.